This creative lesson is a design challenge that reaches beyond your classroom. Students are put in groups and assigned an administrator to interview and then design a tie for. This lesson focuses on the customer side of the fashion design world where customers are an integral part of choosing what they wear and what they’ll pay for. Of course a bonus is that administrators get to see what you do in your classroom! Students will apply their basic sewing skills and their knowledge of design concepts and work to satisfy a client’s desires. Give an introduction to the project as well as a demonstration on how to sew a basic tie. 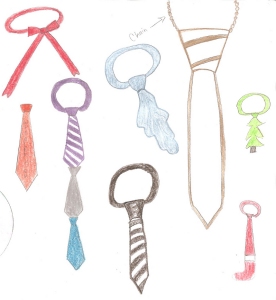 You can also show how to make a tie via a video like the one below. 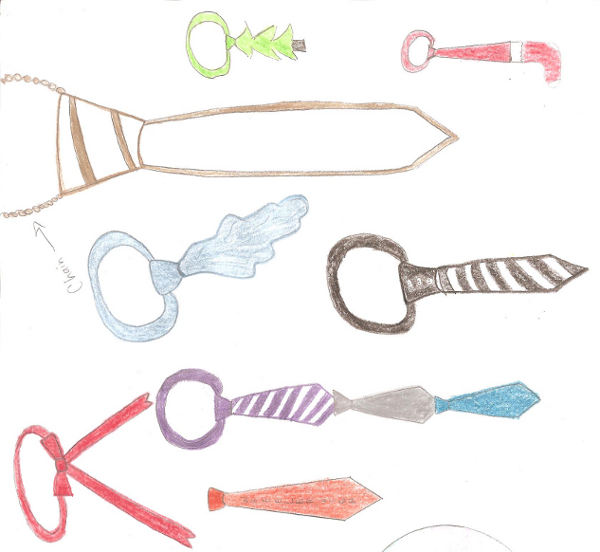 When the class is finished, each group will discuss their tie design in front of the class and administrator. Students should talk about what inspired their design, why they chose the color/pattern/style, etc. Another way to run this is to have one administrator come to your class and have the different groups interview him. Let the groups design based on their own interpretations of what he would like. When the groups are finished have him come back and decide which group’s creation he would be most likely to wear. He will wear the winning group’s necktie on a specified day. Have female administrators? Have students design a scarf, shawl, or handbag. Ties are graded for construction and client satisfaction. Very informative …I can not what to do these. My principals loved this project and I think it will help promote my class – added bonus! I wish there was a scoring guide posted along with the project though. I'm not sure how I'm grading this.